YEAR-ROUND BACKYARD FUN! 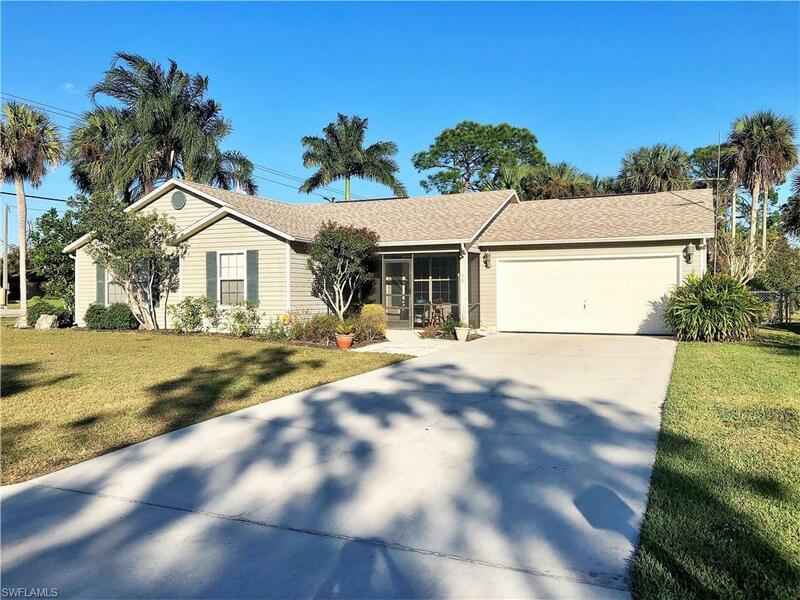 3 BR/2 BA Home on half acre corner lot in Lehigh Acres on CENTRAL WATER & SEWER! Large living space with with tile on diagonal and cathedral ceiling. Updated kitchen with beautiful glass backsplash and gorgeous granite countertops. Large master bedroom with en-suite and french door access to lanai. Garage is currently used as a gym with large wall mirror and AC vent for cooling during workouts. Fully re-screened enclosed lanai (installed 2018) includes privacy vinyl panels which allow you to create an extension of your home to maximize Florida living. If chilly you can keep the vinyl windows closed but allow the Florida sun to warm the room, and when a little warmer, you can open all of your windows to allow the fresh breeze. Large property is perfect for a summer volleyball game or afternoon BBQ. Lush landscaping - many Florida native plants. Property includes an established pineapple garden for year-round harvest. Backyard shed 16x20 with electric (2012) is perfect for additional project space. Attic ventilation fan installed in 2018 to regulate heat level. ROOF IN 2016. GENERATOR INCLUDED w/ TRANSFER SWITCH. AC and AIR HANDLER installed 2013. A MUST SEE!